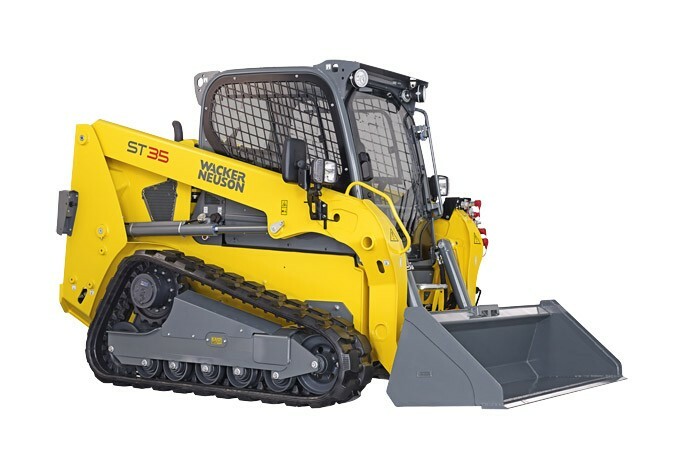 The ST 35 radial lift track loader delivers power and maneuverability. This machine delivers 3,500 pounds of rated operating capacity at 50% and a lift height up to 125 inches. The ST 35 is powered by a 74.3 hp turbo-charged Perkins Tier IV Final engine. Available in both H-Patter and ISO joystick pilot controls, the machines can fit the preferences of any user. The ergonomically designed controls and pressurized cab delivers comfort and visibility, reducing operator fatigue and increasing productivity.